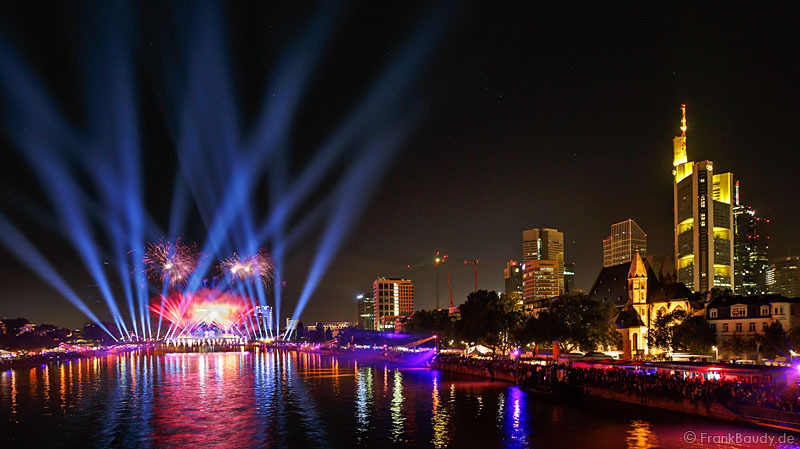 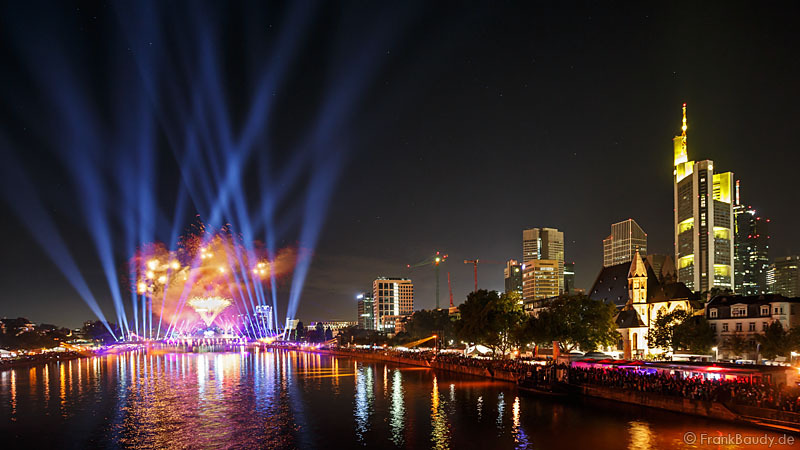 Frankfurt celebrated the large citizens’ festival on the 25th anniversary of the “Tag der Deutschen Einheit”. 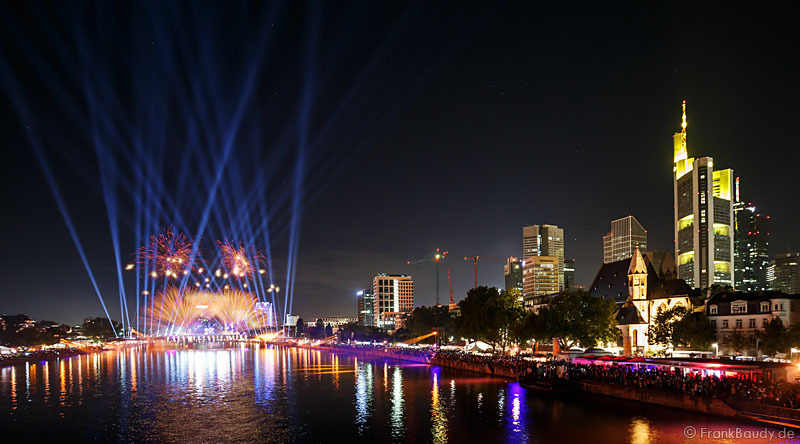 The highlight of the festivities was the great light spectacle on October 3, 2015 on the Untermainbrücke over the river Main. 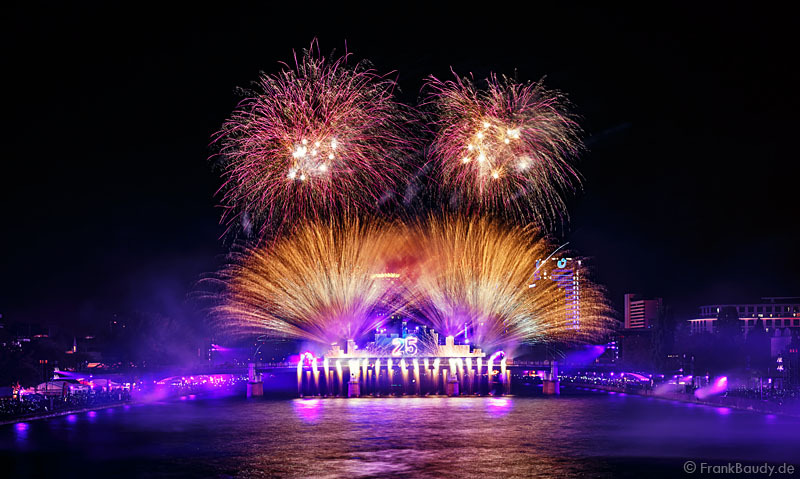 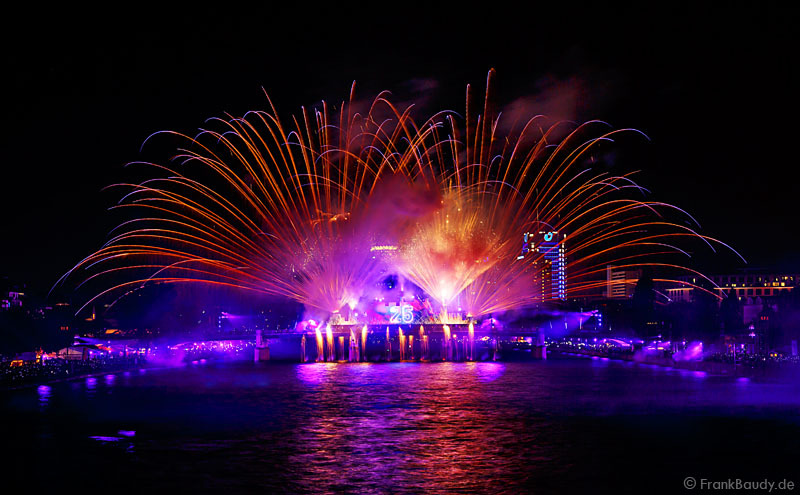 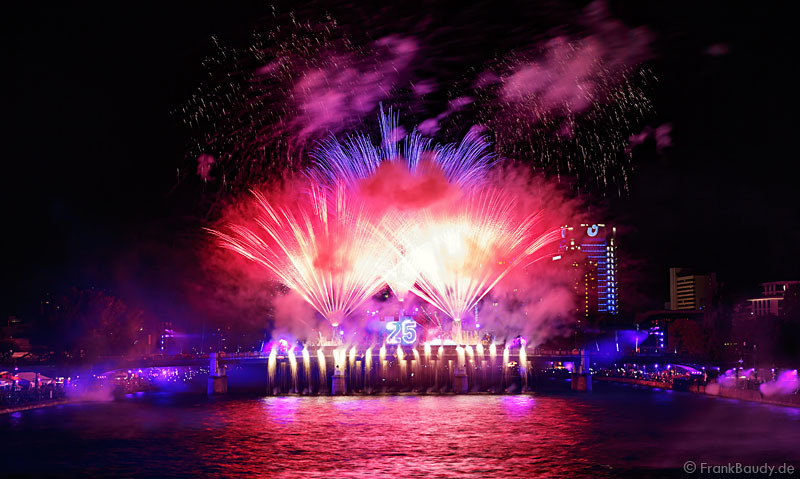 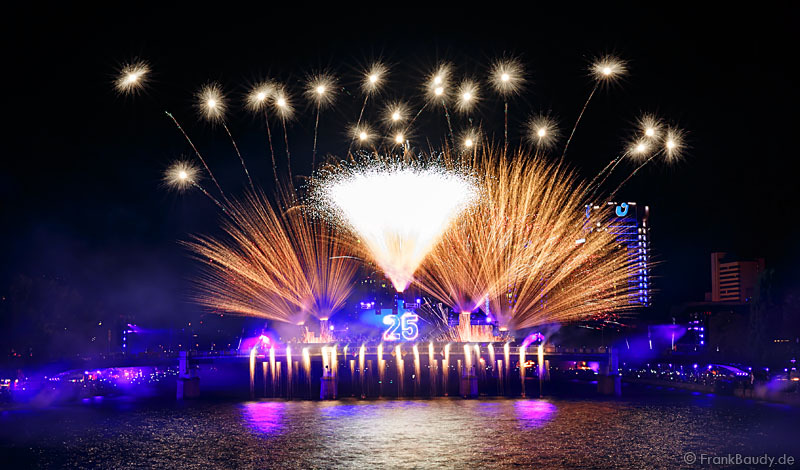 zündwerk was part of the large 45-minute stage production and provided with the final fireworks for a highlight of the evening.